With a collection of all famous brand name fountain pens, you will always find yourself writing with a Waterman pen. It's the way the Waterman nib glides across the paper. There is the balanced weight and size of the pen body. The secure fit of the cap to the barrel. All these give an overall feeling of quality. 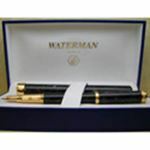 Waterman was founded over 120 years ago by Lewis Edson Waterman. In the 1870?s Lewis Edson Waterman was the first to invent his ?Three Fissue Feed? system which used an intake of air to control the ink flow. 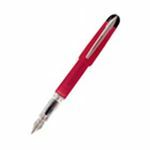 This led to the widespread use of a reliable fountain pen, and made the portable pen a reality. 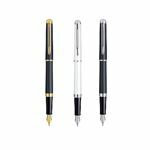 The remarkable history of Waterman Pens is the way a Waterman pen is designed giving the owner a feel of luxury and elegance. Although the process is very automated, Waterman employees check for quality throughout the process. Waterman employees are trained in a self-monitoring quality control checking process. This way, quality is not something that someone else does, it is the responsibility of each individual employee. The employees demonstrate pride in their work and their concern for the quality of the finished product. When using an expensive thank you cards to write a thank you note or any other writing need, think of the impression it would make, if you use a cheap pen that skips, leaks or bleeds onto the paper you've wasted your money. Thank you cards should be written with a good fountain pen. 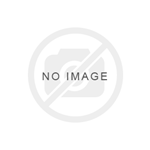 It is recommended to buy a better fountain pen with a gold nib. It will write softer and give a smoother finish than a stainless steel nib. Try one from the many Waterman different styles, the impression that it makes is worth it in the long run! 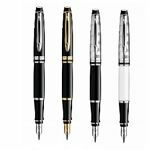 Montgomery Pens offers a wide range of Waterman Pens including some discontinued, hard to find models. If you do not see a certain pen you are looking for please contact us and we will try to help you.